When the Board of the US Federal Reserve meet on Wednesday and Thursday this week they will debate whether to raise the US Fed Funds interest rate. If they do this will be the first rate rise from a developed country since the financial crisis of 2008. American economy is currently creating jobs and has significant growth momentum. Current US interest rates stands at 0.25% which is now considered by manyto be lower than it should be. 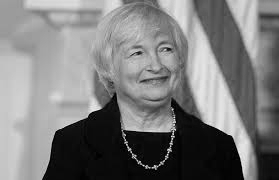 Chairman Janet Yellen would like to progressively restore the US to more normal rates of interest while the US is strong enough, but is the rest of the world? Therefore she and the board have a big decision to make as any increase will recalibrate the cost of borrowing around the world. This week the highly respected Swiss based Bank of International Settlements (BIS) said that the equity market turmoil of recent weeks and the capital outflow from China are warning signs that the massive build up of credit is looming large on policy makers and that their debt levels are acutely vulnerable to monetary tightening by the US Federal Reserve. Off shore borrowing in US$ has now reached $9.2 tr. mainly due to virtually zero rate of interest and US quantitative easing (QE). The threat of raising interest rates will mean that dollar liquidity will be reduced. US$ loans to emerging markets have doubled since 2008 to US$ 3tr. mostly borrowed at less than 1%. With 80% of China US$ debt on short term maturities a rise in interest rates will only increase new replacement borrowing cost. China and emerging markets were able to increase their credit after the financial crisis of 2008 to soften the economic blow but there is now not the access to such loose money other than from the European Central Bank (ECB) and Bank of Japan (BoJ) quantative easing. The BIS have warned that investors have come to rely on central banks to keep ‘the game going’. However recent events in China where the authorities badly handled the challenges facing their stock market has started the inevitable questions as to whether authorities are in control or just storing up big problems for the future. At some point interest rates will have to rise as will inflation and asset values will find a natural price. The BIS report found that much of the global financial system remains anchored to US borrowing rates, whether a fixed exchange rate exists or not. On average a 1% move in US interest rates leads to a 0.43% move for both emerging markets and developed economies. This will have a major knock on effect on long term bond rates and borrowing costs. Emerging markets may be badly hit if the US Federal Reserve raise their interest rates on Thursday even if their liabilities are in their own currencies. We wait to see if rates are increased or a decision postponed. What is also unclear is whether quantative easing by the ECB will be enough to dampen the impact of a rate rise if one comes.